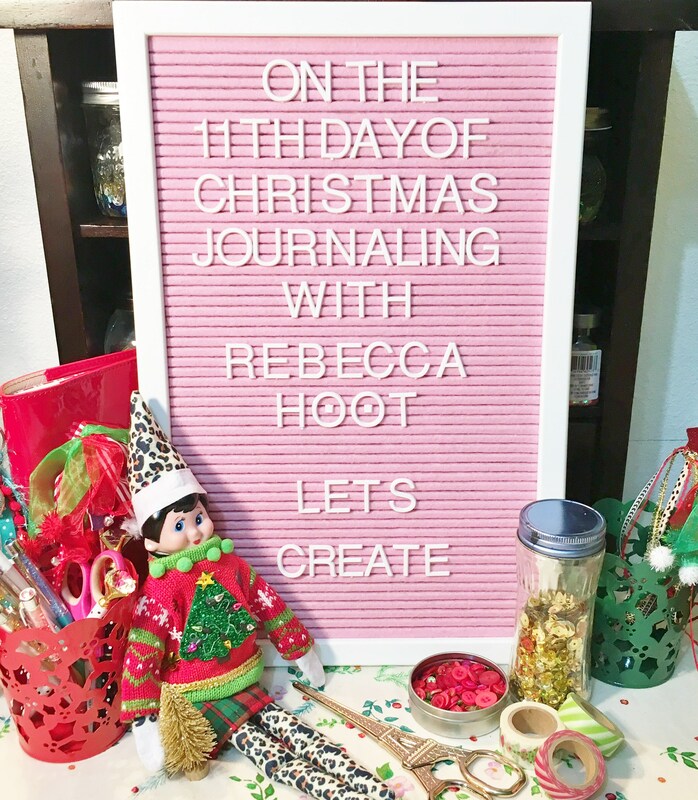 Hello and Welcome Back to the 12 Days of Christmas Journaling! We are on day 11 and it’s all about creating! When I was making this video I had no idea is was going to be an hour long! Yikes! So grab a cup of coffee or tea and let’s get creative! In this video I’m prepping a few pages in my December Daily Journal using a napkin, journal cards, craft bag with tags and watercolor! I had so much fun and I hope you are inspired! Also in this video, I show you how I get a jump start on journaling pages by grouping photos and ephemera together for quicker documentation. I hope you can find daily prompts that inspire you!! It’s beginning to look a lot like Christmas…. 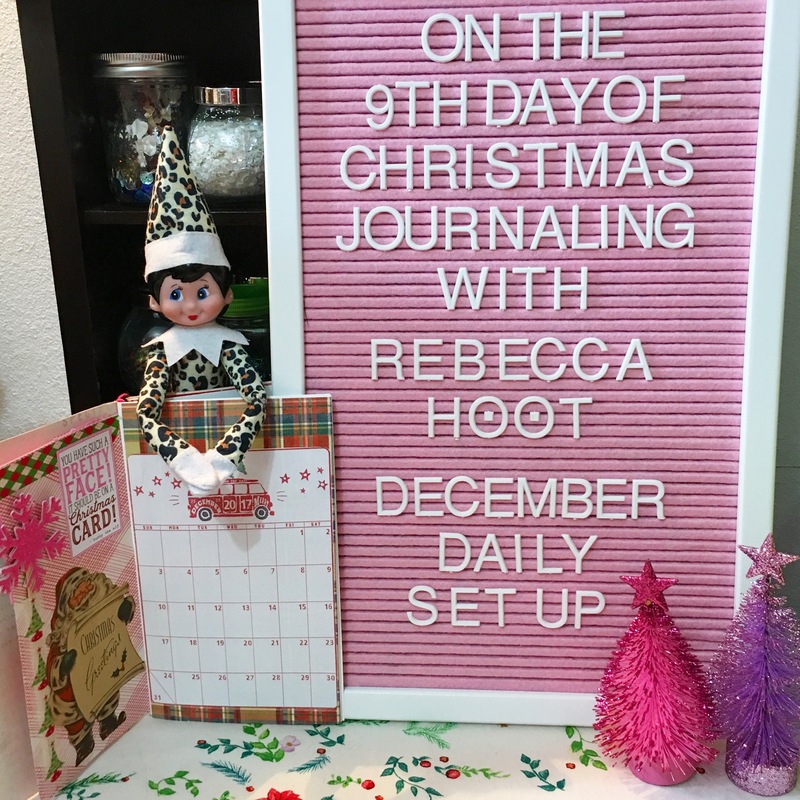 Welcome back to day 9 of Christmas Journaling. In this video I show you the beginning stages of getting ready for documenting December Daily. We are adding Ephemera, using some of the accessories created from previous videos and preparing pages. I added a free printable calendar from Stitch in Time Blog, you can find here. 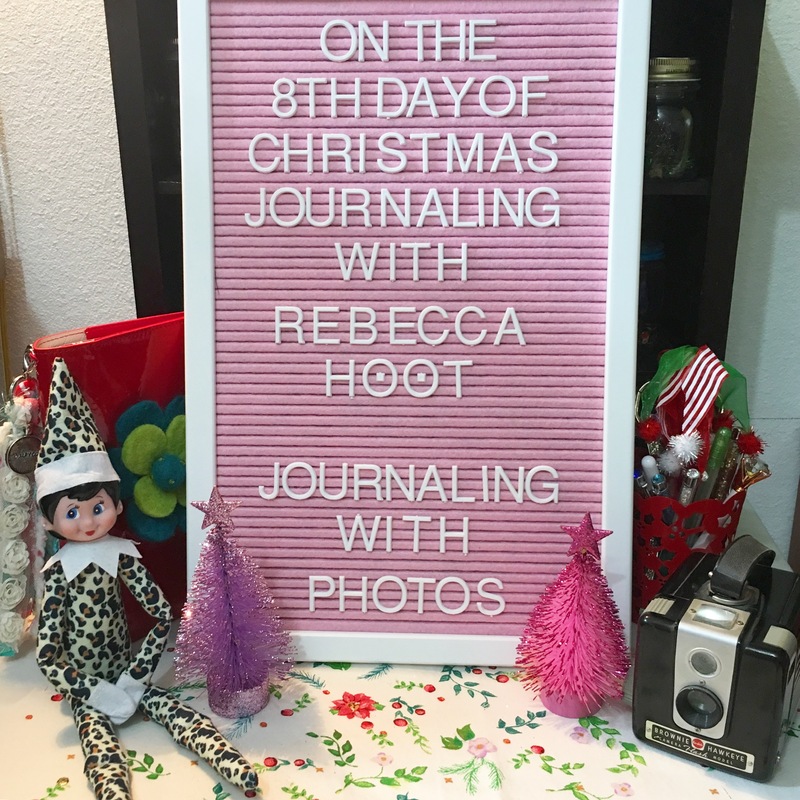 Hello and welcome to Day 8 of the 12 days of Christmas Journaling! In this video I explain my process of journaling with photos. I love and enjoy adding creativity, photos and words to tell my story. Also in this video I show you the process of creating 2 x 2 photos using the Phone App ‘A Beautiful Mess" I hope you are inspired to create pages full of memories this Christmas Season! 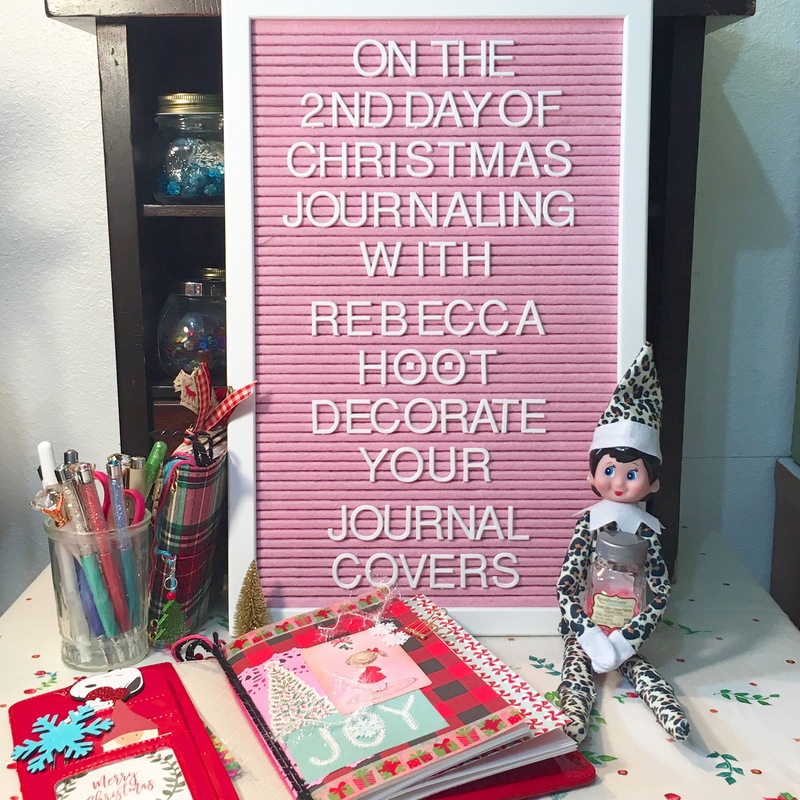 Hello and Welcome back to the 12 Days of Christmas Journaling! 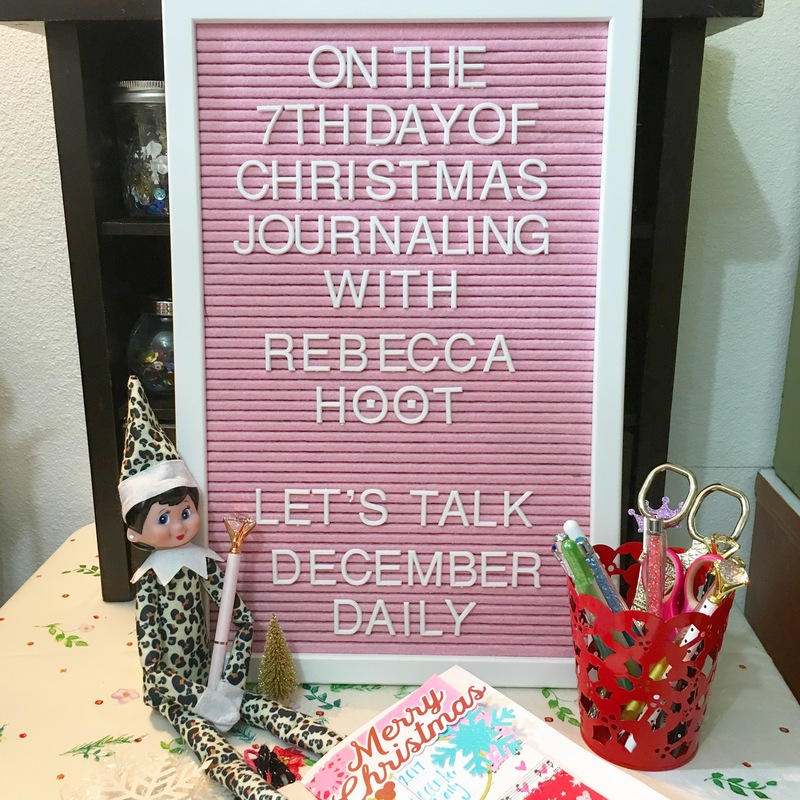 Today we are on Day 7 and we are talking about December Daily. In this video I start my December Daily Journal with the cover page and would like to hear your questions if you have any on documenting December through December Daily or just journaling for the season. I have made a switch to my Cahier size Traveler’s Notebook insert to use for my December Daily. I started thinking about collecting Ephemera, for example,concert brochures and my daughter’s Santa letter and realized it would not fit in the small fauxdori I was planning to use.. My Patent Red Webster’s Traveler’s Notebook will house my December Daily and my fauxdori will be my personal Journal. So excited to start some of my foundation pages and numbering. 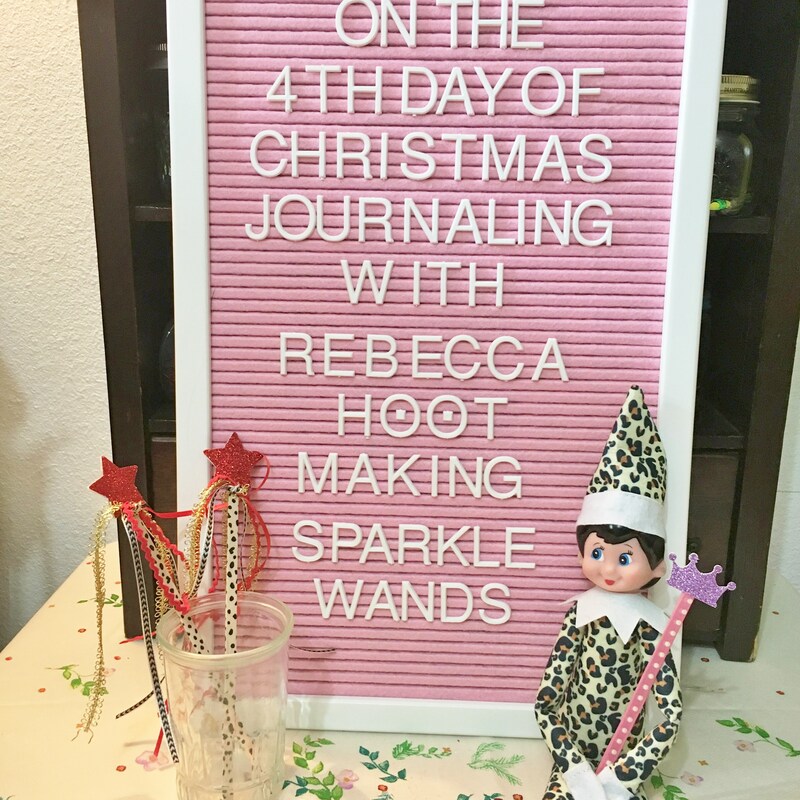 Hello and Welcome back to the 12 Days of Christmas Journaling. For the 6th Day of Journaling we are making "Journal Clusters". You may be asking what is a Journal Cluster? These are bits of happy layers of paper and other tidbits to create a journaling card all clustered together. These cards are great for quick journaling when you may not have enough time to really decorate your page for the day or as a tipin. I use these in my December Daily and my daily journal. In the video I create four themed little journal cards using paint, stamps, diecuts, Christmas tags, stickers etc. 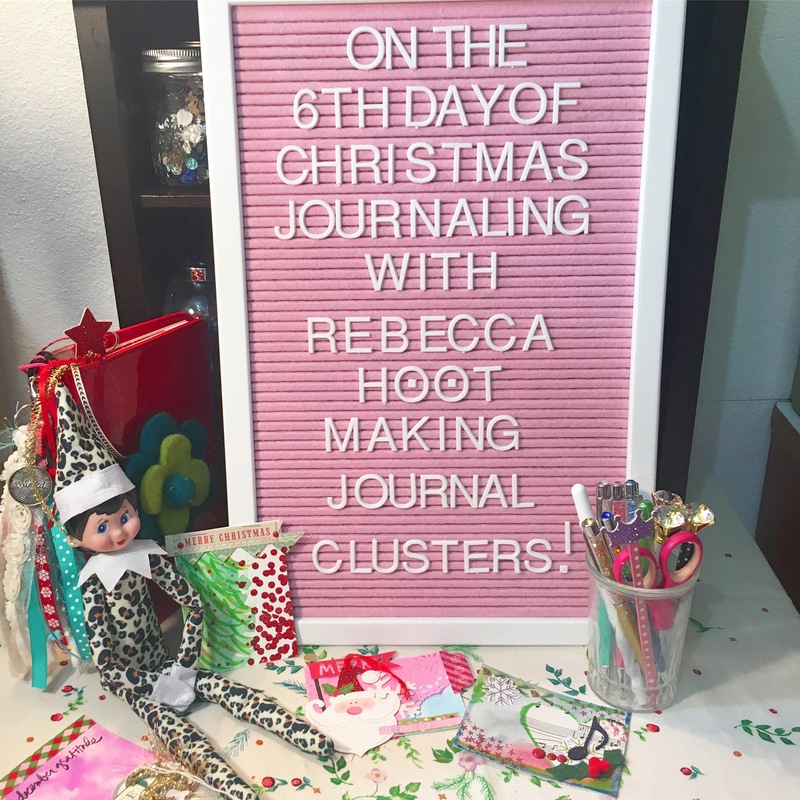 I hope you are inspired to create a little journal cluster too! 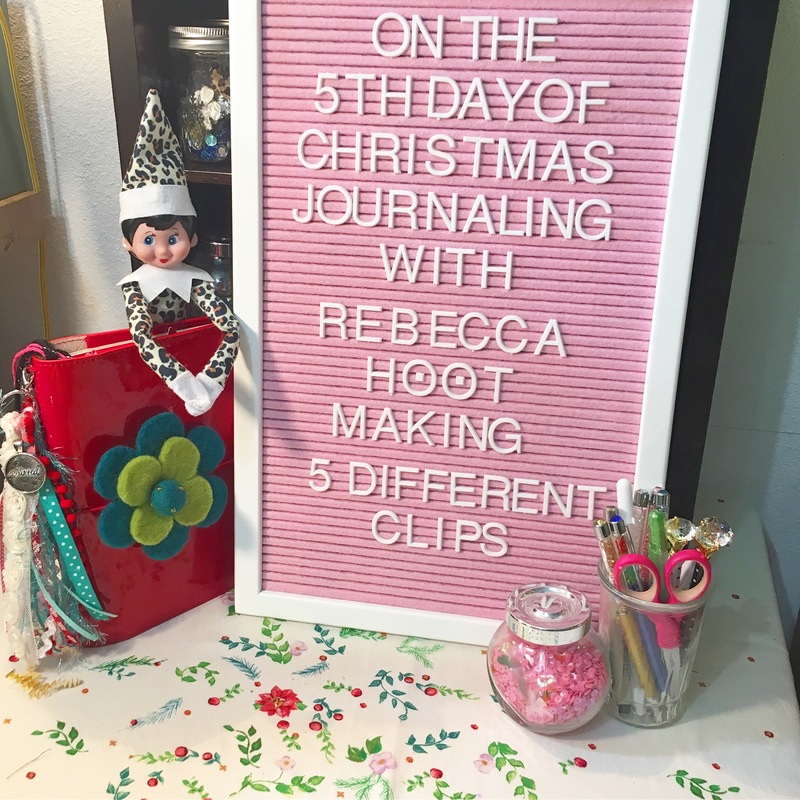 Hello and welcome back to day 5 of Christmas Journaling! In this video I create 5 different types of clips including a bow clip, tassel clip, and pen clip to coordinate with my Christmas Traveler’s Notebooks. I love creating coordinating clips to go with the themes of my journal or planner. I hope you are inspired to make some clips today! Hello! Thanksgiving Day is here is the U.S tomorrow so I wanted to upload the 4th day of Journaling Video a bit early. I will be getting up early and traveling to my parents for the day. These little sparkle wands are so fun to make, I think they are a favorite! We all need a bit of sparkle in our lives…dontcha think!? Hello and welcome back to Christmas Journaling. 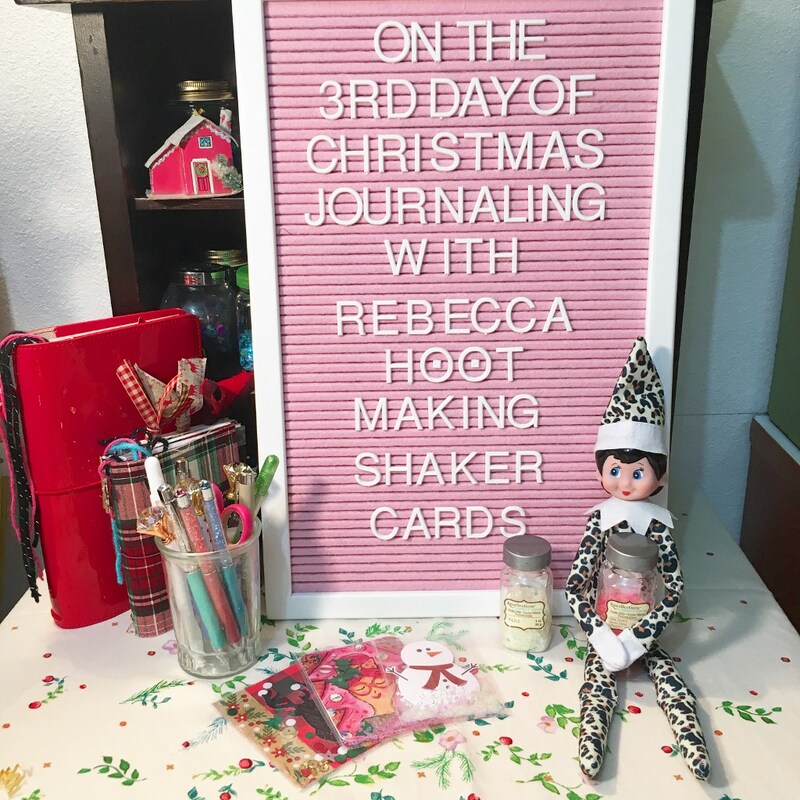 Today I am showing you how to make fun shaker cards to add to your planner, journal or December Daily albums. I use journal cards, sequins, buttons, snowflakes to decorate and a fuse tool and a sheet protector to create these shaker cards. These fun little cards are to fun to make and endless possibilities! 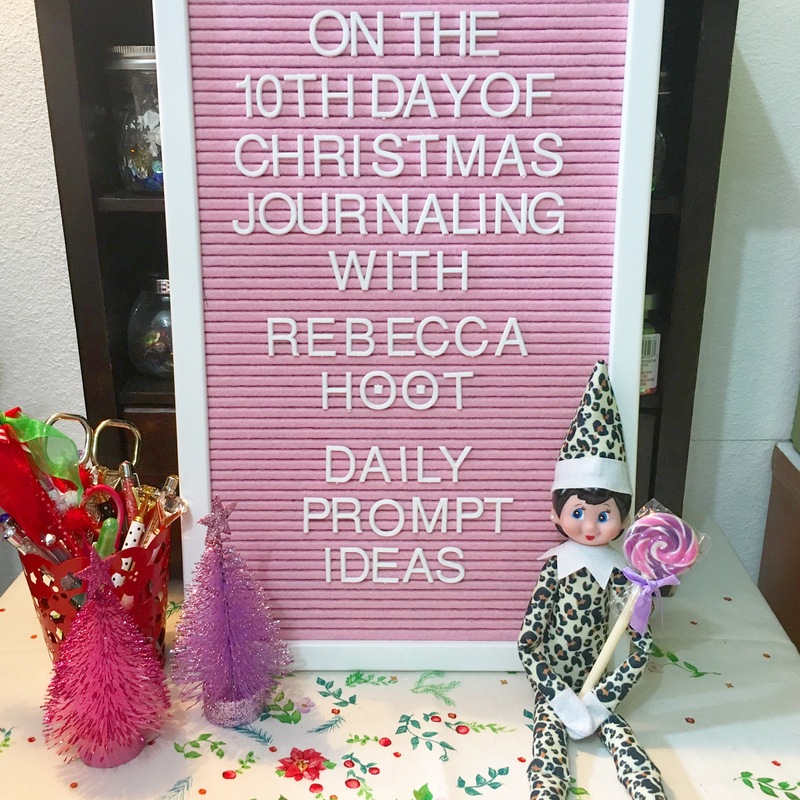 Welcome back to the 2nd Day of Christmas Journaling! In this video I show you how I create my Journal covers for my everyday journal and my December Daily. Hope you are inspired to get creative today too!